Renovated four bedroom weatherboard queenslander with character. 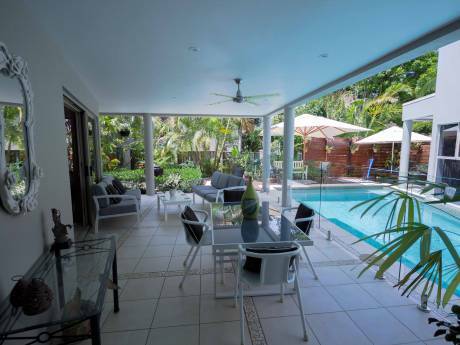 Modern kitchen, spacious lounge/entertaining area with 6ft tropical fishtank, seperate tv room, large timber/wrought iron bathroom with large bath, shower and loo, also seperate toilet. Back patio with 8ft wooden table and drinks fridge overlooking well tree'd back yard with bonfire. Yungaburra is a small historic village on the Atherton Tablelands, only one hour's drive west of Cairns. 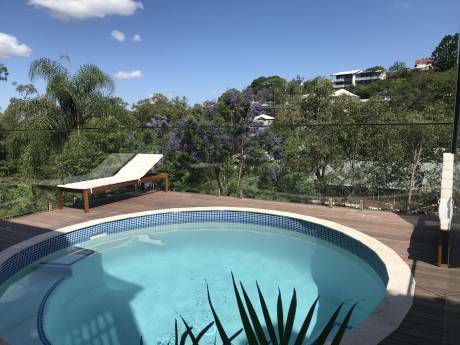 It is close to the beautiful rainforests and twin volcanic lakes, Lake Eacham and Barrine, and Lake Tinaroo (boating, skiing and fishing.) Yungaburra itself has a friendly atmosphere and many interesting old homes, shops and a beautiful old pub. The local markets are famous throughout north QLD. The tennis court is a short walk from home. The temperature is 5 degrees cooler here than the coast. 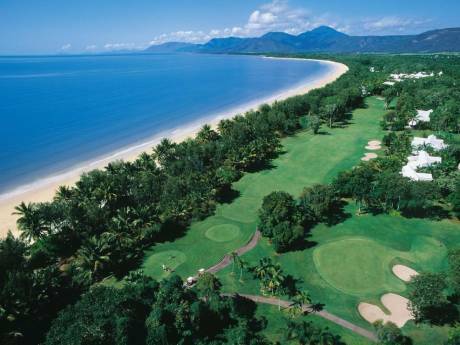 The beaches of Cairns lead up to The Daintree/Cape Tribulation and the many islands and Great Barrier Reef. We are a four person family, one female adult, Sheree Quinn (47yrs), owner of local performing arts school, teaching ballet, modern dance, tap and drama. Shannon, 17yrs, recent yr 12 graduate, drama award and scholarship winner soon to be first year QUT Bris student. Nadia, 15 yrs, talented young artist, guitar player and singer. Morgan, 12yrs, enthusiastic representative soccer genius/maths wizard. Our main interest in this visit to Brisbane is to attend Woodford Folk Festival where Shannon is teaching circus skills to children and to check out the QUT surrounds for Shannon's move in March.